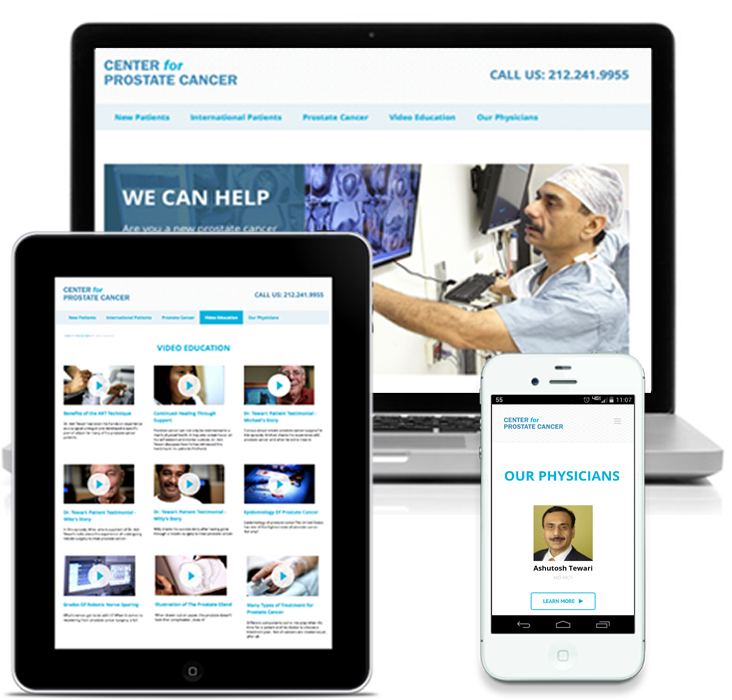 Dramatic Health is proud to announce the launch of the new website for “Center for Prostate Cancer” in New York City. The new website focuses on premier health video content produced by Dramatic Health, featuring world-renowned specialist, Dr. Ashutosh K. Tewari, chairman of the Department of Urology, Mount Sinai. Ashutosh (Ash) K. Tewari, MD, who came to Mount Sinai in 2013, is chairman of the Urology Department. Dr. Tewari is recognized as one of the world’s foremost leaders in robotic prostate surgery and prostate cancer research. He is the 2012 recipient of the prestigious American Urological Association Gold Cystoscope Award for his outstanding contributions to the field of urology and urologic oncology and he has received numerous awards and accolades throughout his career. In addition to being an award-winning urologist, he is a highly active researcher and has authored more than 250 peer-reviewed scientific papers on prostate cancer and robotic surgery. The site includes extensive prostate cancer information to help patients understand the department’s complete range of modalities. Clinical data, videos and patient testimonials work together to provide a detailed overview of the Center for Prostate Cancer across a wide range of sectors, including research, clinical trials and surgical treatments. Created with the user experience in mind, the website has been designed using the latest technology so the site is compatible with today’s browsers and mobile devices. For more information about our web building and video production services click here.